In Canada’s long struggle over copyright protection and ‘fair dealing,’ Access Copyright responds to the education sector’s lawsuit, while the Parliamentary review of the Copyright Moderniztion Act is ongoing. Collectively, those plaintiffs are seeking to recover more than $25 million collected by Access Copyright under what the publishers association specifies was “a legally certified tariff for the period of 2010-2012,” before the 2013 implementation of the Canadian Copyright Modernization Act. 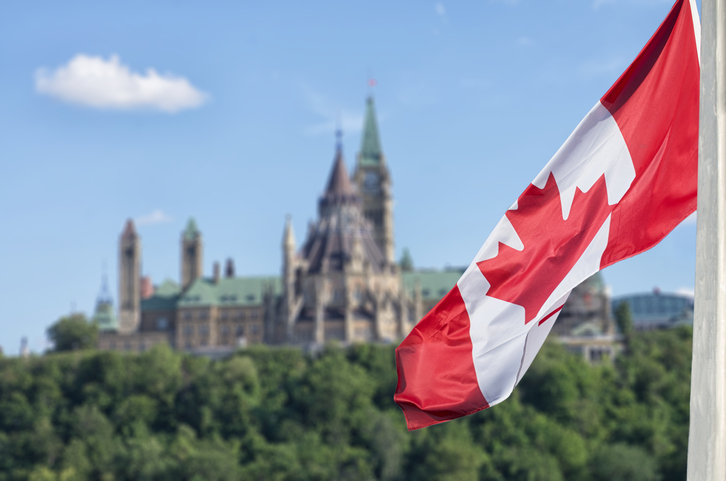 As Publishing Perspectives readers will recall, close to 100 Canadian school boards and ministries sued Access Copyright, the nation’s copyright-revenue collection agency for English-language content, in February. This, as the mandated five-year Parliamentary review of the Copyright Modernization Act and its effects was getting underway. Briefly, the problems with the Copyright Modernization Act—as examined in a Toronto conference in November—have to do with the scope of “fair dealing” (also called “fair use”) to include education. Universities have worked along the lines of a “10 percent” approach, which other educational institutions, including K-12 schools, have then adopted. In some university settings, instructors have allowed themselves to copy up to 10 percent of a book, or a full chapter, and to then distribute this copied material to students without a publisher’s permission and without paying a licensing fee, sometimes called a tariff. The lawsuit launched against Access Copyright by the education sector reaches back to three years prior to the enforcement of the Modernization Act, claiming that “the plaintiffs (the education sector) overpaid the defendant (Access Copyright) for the years 2010, 2011, and 2012 by an amount equal to CDN$2.35 per full-time equivalent student. The stage of this long-running narrative this week is Access Copyright’s formal response to the education lawsuit. In its Monday statement, provided to Publishing Perspectives, the publishers association says, “Access Copyright’s counterclaim relies on the fact that the plaintiffs have not paid the mandatory and enforceable certified tariff that has been in place ever since 2013, and they now owe more than $24 million to Canadian creators and publishers—not the other way around. “Access Copyright’s filing reminds the court that the tariff rates established by the copyright board take fair dealing and other non-compensable copying into account, and that the tariff compensates authors and publishers for copying that goes beyond legal limits. After careful examination of evidence, the board found that K-12 schools copy 150 million pages of copyright-protected works each year that require compensation. In today’s supportive commentary, the association maintains that “The copyright board’s capacity to resolve impasses only works when all parties respect its decisions. ACP continues to call on ministries of education and Ontario school boards to drop their hostile legal action, which appears to be intended to undermine Canadian authors and publishers’ collective licensing society, Access Copyright. The publishers association in Canada has 115 member-publishers on its roster. Publishing Perspectives understands that it may be early 2019 before something is learned about the determinations of the Standing Committee on Industry, Science, and Technology in its five-year review of the Copyright Modernization Act.